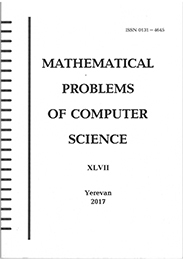 IIAP operates the ASNET-AM (Academic Scientific Network of Armenia) National Research and Educational network that currently connects more than 60 end site through 39 nodes, including the Ministry of Education and Science, the State Committee of Science, and the National Statistical Service. 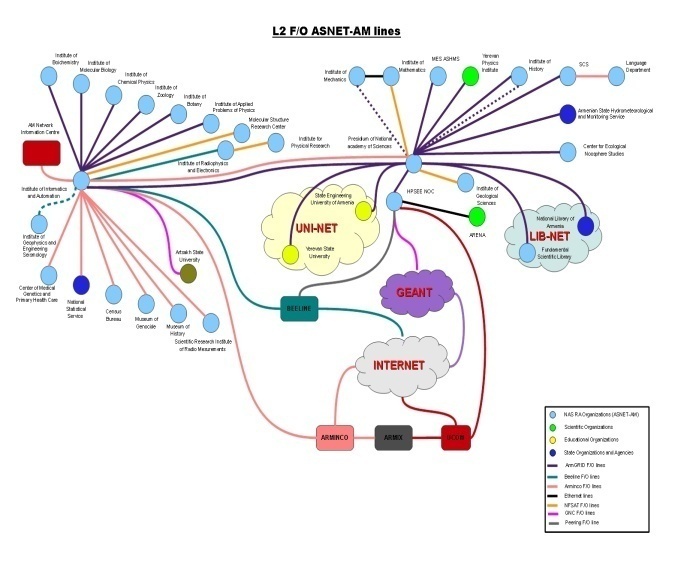 Most of the sites located in Yerevan are connected over ASNET-AM’s own fibre or fibre leased. Other sites, including those located outside of Yerevan, are connected with wireless links via the television station. A few key sites such as the Presidium of NAS RA and the IIAP are interconnected at 10 Gb/s. External connectivity is currently provided by a 54 Mb/s link from Yerevan to GÉANT (Sofia) as part of the HP-SEE project, as well as via links from local providers. In addition, ASNET-AM also offers a 3G mobile broadband service through an agreement with Armentel. This takes advantage of the competitive mobile telecoms sector in Armenia, and allows users with mobile devices to access ASNET-AM resources via a VPN.